The Sports Unit ably powered by the Director of Sports began with a momentum of change at the helm of affairs in 2015. The sporting offer to students, staff and the College community users remain to be of high standard, great value and reflective of the excellence enshrined within the Alvan sports strategy objectives as defined by the sports unit (SU). The ethos and philosophy remains the provision of quality facilities ser ices and programme for all users. The Sports Unit is poised to contribute meaningfully to the College life via the delivery of enjoyable, inclusive varied sports and health related activities. Provision and development of quality sports facilities. To encourage and support the development of high performing sportsmen and women. To raise the profile of sports and recreation in the College. To encourage more people and opportunities for involvement in sport and recreation. To further develop efficiency and effectiveness of the sports with in provision better service. 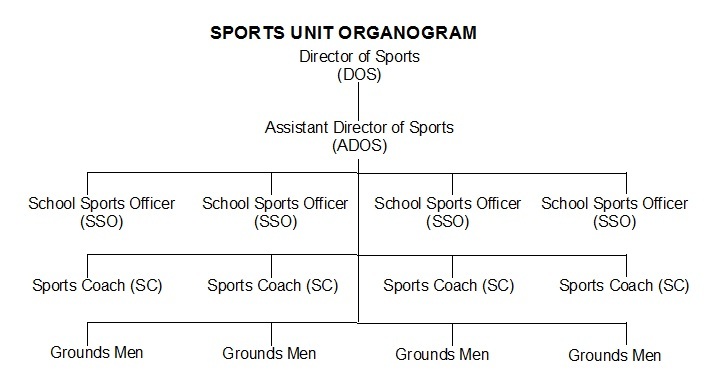 To expand the academic linkage to sports. To link with College strategic objectives. Exploring the full commercial value of the Alvan sports brand. We look forward to varied sports activities that will be at the disposal of everyone in addition to well known games, students have indicated interests in activities. As major stake holders, staff recently were asked to indicate their choice of sports. This will help the College provide equipment for their use during recreation sports. 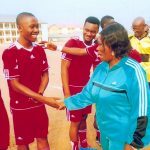 At the last NICECA Zone A games in Umunze, the College athletes performed gallantly and won qualification in all games to represent Zone A at the National NICECA coming up early this year in Obudu, CR State. The Provost Dr. (Mrs.) Blessing C. Ijioma in her usual magnanimous nature showered the students medalists with cash awards. Through the sports man’s policy we have been able to secure more quota for students athletics. We will pursue protection of athletics by expanding the academic linkage to sports. The revival of Wednesday sports is a priority for the year’s plan. We shall conclusively pursue with diplomacy the enforcement of the NCCE sports policy that designates Wednesday s for collegiate sports during which lectures should stop after 12 noon. The unit has since initiated the drive and will expect that students and staff comply with the objective of ensuring a work force and community that productive given their enhanced health and social status through sports participation. A productive student and staff workforce in Alvan. Development of good and patriotism. Inter collegiate department/schools sporting competitions. Sporting competition games with other institutions of learning within and without the state. Staff team sporting programme will be with priority to diversify and encourage active and healthy lifestyle which foster positive relationship. Sport is a capital intensive venture as such the unit will exploit more corporate sponsorship from College partners and friends under Corporate Social Responsibility Concept. 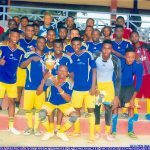 A classical case is the innovative concept of Provost Matriculation Trophy a re-created traditional football match usually between the Land Lord’s and Tenant’s, i.e. the old and new students playing a football match. This event has been movibond but was resurrected on assumption of office. 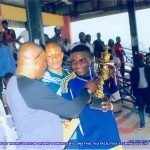 The event was sponsored 100% by Construction Facilities Technologies Ltd with a trophy, cash prize to the winner loser, entertainment and full value derivable from such sponsorship. The zeal will exploit further, facility branding, athletic branding, games branding etc. 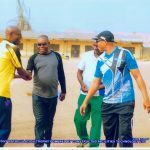 The sponsors will plough back a percentage for sports development under the corporate social responsibility with the executive will and backing of management the unit will pursue the best global practice of alternative funding aggressively. 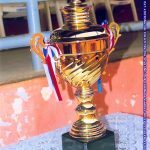 2015/2016 Provost Matriculation Trophy Powered By Constructed Facilities Technologies Ltd.
On assumption of office in April 2015, the major task that confronted the unit a month later was the NICEGA Zone A Preliminary Qualification Games. As it were, we deployed our technical superiority through strategic planning and concept of medal economy, i.e. presenting games in which we had depth and strength. This resulted in Alvan winning all the game qualifications and will represent the Zone at the National NICEGA games coming up at Obudu early this year. Our remarkable fact was the qualification of the College male and female football teams for the National NICEGA after several attempts spanning 12 years. The unit is at the moment preparing athletes for the Obudu games and is poised to break more records in just about 10 months in office. The unit is not just competition oriented but has tailored its programmes strategically towards development of structures that will produce burden athletes who will eventually progress to elite status. Development of a new sports centre. 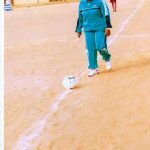 The Alvan staff football team and other game activities aimed at keeping the work force fit shall be developed to meet personal/corporate needs. 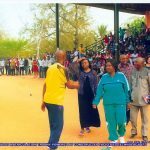 The management will be expected to encourage them by sponsoring them to attend staff games in the future. There will also be staff competitions to enhance their health and social status. The unit will partner with the Alumni in sourcing alternative funding and development of sports. We intend to activate a partnership that will involve the Alumni staging on “Alumni Relations Weekend – a weekend All Alumni will convene with a view of raising funds for sports development. Madam Provost kicking-off the match for the Provost Matriculation Trophy, sponsored by Constructed Facilities Technology Ltd. 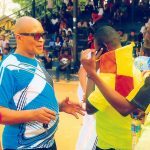 Sport in Alvan is on the verge of positive climb to actualize its full potentials in the coming years. A new road map that comprises short, medium and long term plan will involve synergy among all Stake holders, students, staff, academic and non-academic, management etc requiring human and material resources for its success. Appreciation to the provost for the appointment of the author as the Director of Sports considering the previous cognate sport industry experience spanning over 25 years. We are poised to drive sports to its zenith in Alvan.